Key styling elements of the new Aston Martin Vantage will look familiar to anyone who has admired James Bond’s DB10 in the film Spectre. That’s because the design of the film’s one-off was inspired by and inspired the newest Aston. The resultant one-off was, somewhat controversially, given a full 'DB' model name. 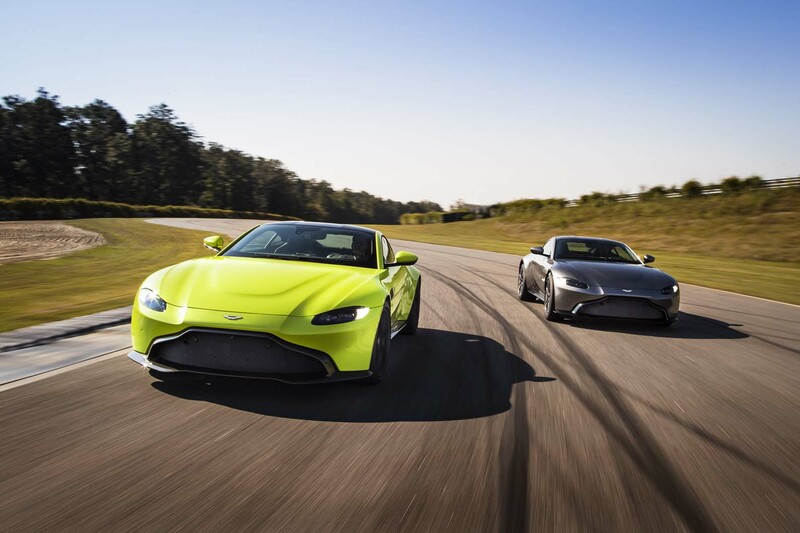 But although it took its own form, the shared DNA with the Vantage gave Aston Martin’s design team some invaluable insights that fed back into the production car. In particular, an opening shot showing the partly illuminated outline of the car helped put the focus on the clear front and rear form. “The DB10 was a unique opportunity, something that never normally happens,” said Holgate. “Part-way through the design process for Vantage, we got to see the language and form we were working on driving around outside in different environments and see how people reacted to it. While it was a side alley to Vantage, we could really take stock of what was good and bad. Db10 more like what an Aston should look like, more style and less tack. That black grille surround on the Vantage is horrible IMO. It was obvious the DB10 was a V8 Vantage. And a key part of how the new Vantage was going to look. The grill on the DB10 wasn't right, it should have bumped the bonnet up as just about all Astons do. It was never really a finished car. The new Vantage just looks like a cheap kit car at the front. Side strikes remind me of the AMG GT. Interior is far far too fussy. Fussy and confusing too with several switch banks all crammed in. They really need to get Ian Callum back. Or someone with even half his skill. As much as I love Aston Martins, and I do, it would be the F-Type for me now.